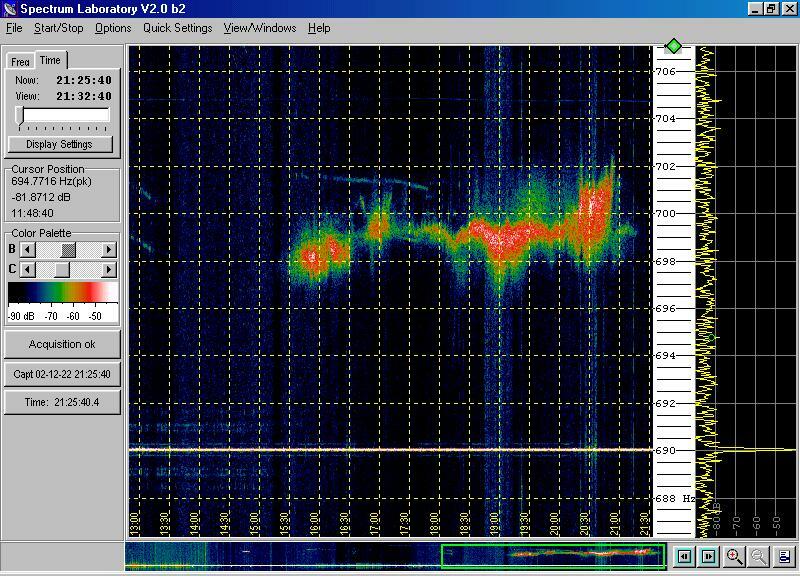 There are several 2MHz broadcast stations that are audible in the UK during the winter. These plots show their signals. Alice Springs 2310kHz, 22 December 2002.